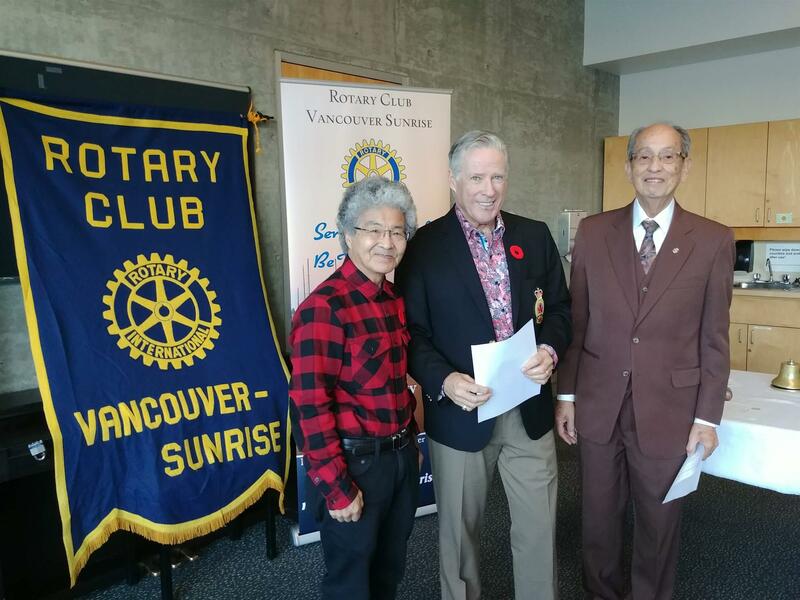 This week we welcomed 10 members and 1 visiting Rotarian and guest speaker, Brian Kerr, from the West Van Rotary Sunrise club. * On November 14th we will be hosting District Governor Darcy Long, make sure you attend that day! Alfredo told us about the memory cafes for Alzheimer's patients and their care givers. Today was our guest speaker was Brian Kerr, who spoke about Rememberance day and the crucial role that Canadian soldiers have played in armed conflicts, starting with the first world war.